As bad as the situation in Israel seemed yesterday, Tuesday began with even more Palestinian terror that sent shock waves through the country. A pair of terrorists entered a Jerusalem bus and stabbed and shot passengers, killing two and wounding many more until police stopped them. Elsewhere in the city another Jew was killed by a Palestinian terror attack that drove a car onto a crowded sidewalk and then attempted to finish his victims off with a knife. There were also more stabbings in the city of Ra’anana. But while the details of the attacks vary, the dynamic is clear. These are for all intents and purposes suicide attacks that are motivated by religious fervor. The Palestinian Authority leadership’s false charges about Israel — broadcast on their official media — about Israel’s supposed intent to harm the mosques on the Temple Mount has set off a wave of religiously-inspired terror attacks that it can’t control. The question now is what comes next? Will the Palestinians eventually come to their senses and stop the madness? Or will this situation continue to spiral out of control with lives lost? Yet whatever the answers to these questions turn out to be, there is no question which side in the conflict will come out the loser from this disastrous turn of events. What PA leader Mahmoud Abbas may be about to learn is the same hard lesson his predecessor Yasir Arafat absorbed during the second intifada. While it is clearly in the interests of Abbas interests to keep a lid on the violence lest he lose complete control of the situation, it’s a lot easier to start a holy war than to stop one. Abbas sought to compete with his Hamas rivals by sounding bellicose against Israel and seized on a perennial favorite of Palestinian leaders: inciting hate and fear about Jerusalem. But having convinced ordinary Palestinians that Israel intended to interfere with the Temple Mount mosques or to desecrate them with their “filthy Jewish feet,” Abbas can’t be surprised that many of them are undertaking personal terror attacks on Jews. What Abbas wanted was to bolster his image among ordinary Palestinians as a tough opponent of the Jews. An ineffectual and corrupt leader of kleptocracy serving the 10th year of the four-year term as president of the PA to which he was once elected, Abbas has little credibility with Arabs or Jews left. 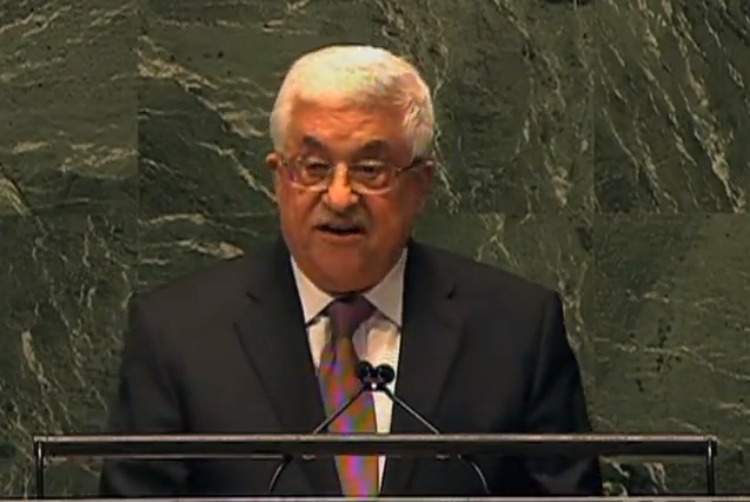 Yet even now that he sees the disaster that is unfolding that could threaten his rule, Abbas can’t stop the incitement. He doubled down on it by speaking today of some of the terrorist assailants of Jews as innocent victims who were gunned down by Israeli oppression. Nor has he stopped the talk about the danger to the mosques. But while this new wave of terror has shocked Israelis and made ordinary life difficult in areas with mixed populations such as Jerusalem, it is the Palestinians who will be the big losers here just as they were during the second intifada. The loss of life and the sense of fear inspired by these horrifying incidents have shaken Israelis. But they know that if their nation could survive the horror of the second intifada, which took the lives of over 1,000 Israelis and far more Palestinians, this episode won’t defeat their country. On the other hand, the consequences of this mayhem for Palestinians will be terrible. If, as happened during the last intifada, Israel is forced to close the borders with the West Bank in order to stem the violence, it is the already shaky Palestinian economy that will collapse, not Israel’s. 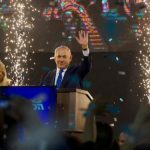 As much as doomsayers continue to tell Israelis that they can’t go on with the status quo, Israel has gotten economically stronger in the last generation while the Palestinians, mired in corruption and still refusing to make peace, lag far behind. War, especially the kind of low-level terror that Palestinian society has embraced, will do to them what the second intifada did, and erase years of economic progress while also making cooperation with more prosperous Israel — the key to any hope for their advancement — simply impossible. Abbas and many of his people may be counting on the usual dynamic of the conflict to work to their advantage abroad and in international forums. The current strife may deepen Israel’s diplomatic isolation. The more Palestinians embrace terrorism, the more likely much of the world will be to condemn all Israeli measures of self-defense. They will likely also buy into the false notion that Palestinians are acting out of hopelessness rather than as part of a religious holy war that is inextricably tied to their century-long struggle against Zionism. UN resolutions, even those unfairly condemning Israeli self-defense, won’t change the status quo on the Temple Mount that is defended by the Israeli government that already discriminates against Jews. Yet more condemnations of Israel won’t do a thing for the Palestinians. If we are to assume that Palestinians really do want a two-state solution (and based on the PA’s consistent refusal to accept the legitimacy of a Jewish state no matter where its borders are drawn, there is no reason to believe that they do) this new terror surge is exactly the wrong way to go about it. Israelis already were worried that a withdrawal from much of the West Bank (something that every Israeli government has offered to do — including Netanyahu’s — in the last 15 years) would duplicate Ariel Sharon’s disastrous experiment in the pullout from Gaza. But now that Abbas has whipped up the kind of hate that has Palestinians seeking to slaughter Jews they see on the street or on buses, further withdrawals seem utter madness. By embracing terror, Palestinians have deepened the divide with Israelis while making even left-wingers less likely to trust them. Stern measures intended to prevent more terror attacks will have widespread support from right to left. Nor will many Israelis, even those most likely to want to believe in the idea that Abbas is a man of peace, soon forget the way he stoked hatred and needlessly caused so much loss of life. If Palestinians want prosperity and peace, they need to drop the hate and start learning to accept Israel as a fact of life that will continue even if they attained statehood. But so long as their quest for sovereignty is bound up with holy war, they’ll get neither. As with past unnecessary conflicts they started, the Palestinians will be the ones who will suffer most from this one.